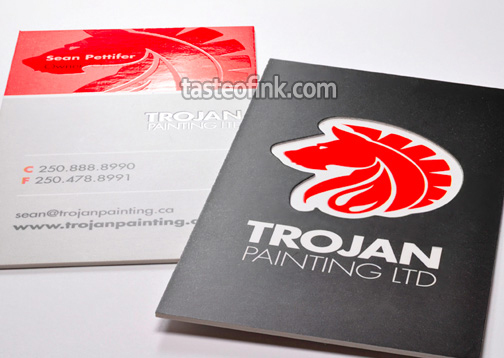 Trojan Painting blends bold color contrast with registered spot gloss treatment for a dramatic impact. 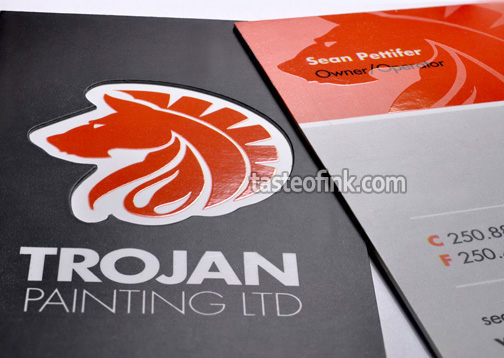 Sometimes simple is better and this design lets the stylized logo take center stage by accenting with spot gloss. 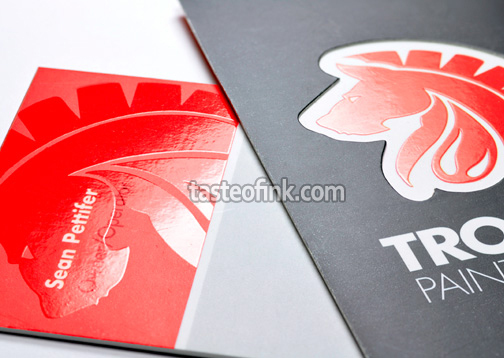 The use of black, white and red combine for easy readability and strong brand recognition on this silk layer card.